If all the world coffee lovers busy with a variety of expensive coffee equipment to create a variety of delicious coffee blend, different from most of the way Indonesian people in brewing coffee using a very simple method. As if this coffee brewing method illustrates the simplicity of a friendly and peace-loving Indonesian citizen produces simple coffee but scatters throughout the room. What brewing method is that? Namely brewing with Tubruk or commonly known as Tubruk Coffee. Namely brewing coffee by splashing directly hot water into a serving cup that has been inserted coffee powder. Instantly coffee lover will exploit the various languages, styles and rhetoric of their hard-line coffee stream which he said tarnished the sanctity of his understanding, showing at what level of caste he was a coffee lover. In fact, not all copies must be align with what he finds from his various drinking experiences. Being grateful if there is coffee in front of the table, is the best way to enjoy each and every ounce and tear down the carat of pride that is attached to the chest and the soul. Coffee brewed though a simple brewing coffee but have good tips for the results of coffee brewing has the added value of privilege on flavor and aroma. It is unfortunate to have good and quality coffee, from a series of hard-won love and sacrifices from the coffee farmer to the roaster, but losing his privileges on the brewed table. 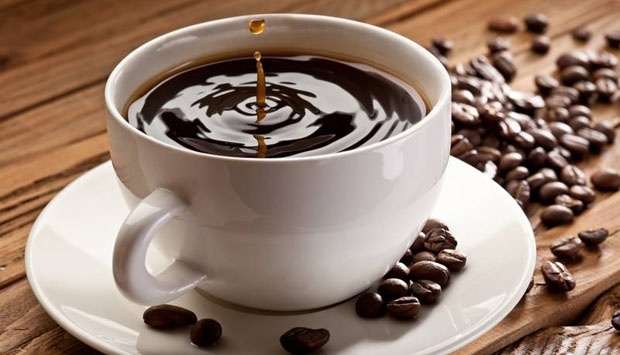 Pour the 150ml coffee into the cup by turning it clockwise as if stirring the coffee. Stir coffee with a spoon made from either wood or food grade plastic. Let stand for 3-5 minutes until the coffee grounds down to the extraction process of coffee powder can be perfect. Tubruk coffee is thick and aromatic ready to be enjoy. Anything less is not yes way above? Maybe for those of you who have not been able to enjoy a healthy sugarless coffee and actually more delicious if without sugar because it feels more complex. You can enter the sugar on the brewed coffee. Brewed at the last moment after ignored for approximately 3 minutes then stirred to sugar evenly. After that you can let sit again coffee soup for a while so that the stirred coffee powder can fall back. Never directly put sugar and coffee while brewing. Why? It’s because this will reduce the process of extraction of coffee powder, the aroma and viscosity obtain is reduce. Let your own coffee powder first brewed with hot water just enter the sugar after the coffee powder down. Usually the experts test the cup or cupping to do a brewing above to find various characters contained in coffee. You can also test the flavors of coffee that you have from different regions. With means of brewed without sugar. Perhaps this question is in the minds of many women who want to quickly lose weight. Certainly by doing regular exercise! But some are already doing sports but the weight does not go down. Therefore we need to know what kind of sport that can quickly manage the body, especially for women. Here we give some tips 30 day workout plan to lose weight, especially for women. Who does not know jumping rope? Simple exercise is useful in burning calories you know, and also can lose weight quickly. This jump rope can burn calories by 440 – 590 cal, according to research Center Of Disease Control and Prevention. Make a leap at least 50 – 100 times a day for maximum burning fat in the body. This jump rope or skipping can burn fat in the body along with the expenditure of sweat. This sport will be suitable for your 30 day workout plan to get ripped. Doing high intensity aerobic exercise for 45-60 minutes can lose weight quickly or by 60 – 70 percent. Results will be seen if you do a daily routine (afternoon or morning before bathing) is balanced with a diet that supports weight loss. Aerobic gymnastics can you do in groups or own at home using aerobic exercise CD. With this activity, you can lose weight in 30 days. Sports that quickly lose weight for women. Running is a basic sport of all types of sports. Running exercise can help you lose weight fast. All the limbs move while running, fat will also burn in the absolute. Running is also a simple exercise that can help burn calories quickly. By doing regularly at least 3 times a week, then your weight can quickly go down. This weight loss exercise can be maximized if you do at least 30 minutes for each running practice session. The fast weight loss exercise for the next woman is cycling. One source even mentions that cycling has the same level of effectiveness as running. In addition, cycling will make the calf muscles become tighter and can shrink the belly shape of the bloated. To be effective in losing weight, especially for you women, just do the bike 2 to 5 km every day! Swimming can move all the organs of the body and this is good for burning fat and calories in the body. Swimming also requires extra energy and require great energy to do so so no wonder after you swim often we feel hungry fast. 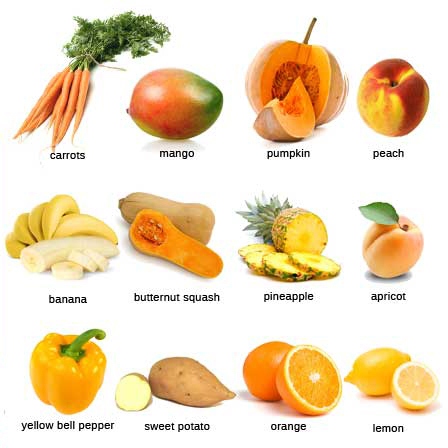 Therefore, prepare a healthy diet menu made from vegetables or fruit, do not snack or high carbohydrate foods. How to lose weight quickly next for women that can be on foot. This is a simple exercise that we often underestimate but has great benefits for the body if we do regularly. To maximize, walk every day, at least 1 km per day. If necessary, do the fast road to the maximum in burning calories and fat in the body. How to quickly lose weight next is to exercise sit ups and push ups. Push up exercises can train the muscles of the arms, shoulders and back. As for sit ups can train the abdominal muscles and is suitable to help burn fat in the stomach. Take time to do both of these movements when you exercise aerobics, jogging, running and other sports. Not all women love to dance. But if you are a woman who wants to lose weight quickly then dancing can help burn calories and fat quickly. Some freestyle dancing movements can make your body become more flexible. Choosing energetic movements with your favorite music can also make your body burn fat and calories with maximum. The success of any new business depends on providing a great product or service but also needs to incorporate sound property management decisions. Carrying the right types of business insurance to protect the business assets is one of the more important decisions that can be made to ensure longevity. Any business can become a target for theft and vandalism. The costs of replacing merchandise, equipment, vehicles and repair buildings can wipe a small business out. The affordable cost of an insurance policy that can replace or repair these items can make it possible for a business to move forward without suffering a devastating loss. Florida provides businesses with plenty of blue skies and sunny days, but there are times that the weather can be rough. The threat of hurricanes, hail, severe thunderstorms, and winds mean the very real possibility of property damage. Having adequate property insurance to cover damage from storms will help you better manage the costs of staying in business. You will be able to get back to normal quickly. Flood coverage is not a part of normal business insurance. You have to take out a separate policy that specifically covers flood damages. It is a good policy to have with the unpredictable weather that has been occurring in many parts of the country. Any business that is close to large bodies of water and subject to tropical storm systems should carry flood insurance. Anytime a business has to be closed for an unexpected emergency, repair, or rebuild there is a loss of income. This can hit a smaller to mid-size business hard if it extends int weeks. Business interruption insurance policies help bridge the gap. It will help a business pay utility bills, employee payrolls, and mortgages while the business is down. Businesses that operate commercial vehicles need to have the limits of commercial liability to operate on the Florida roadways legally. It is wise to check into additional policies to cover comprehensive/collision, uninsured/underinsured motorist and roadside assistance.